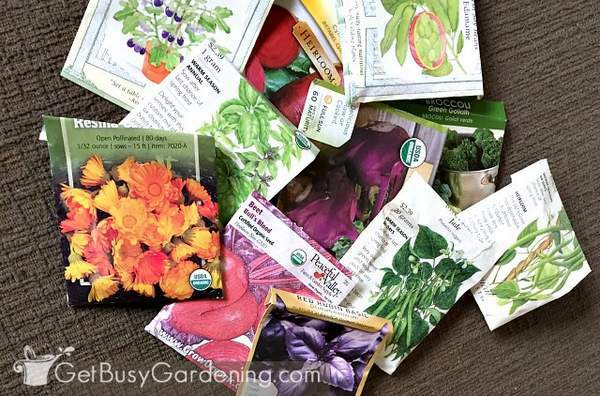 When you have a bunch of old seed packets laying around, how do you know if the seeds are still good? Perform a seed viability test! In this post I will show you exactly how to test the viability of seeds using a simple seed germination test method. 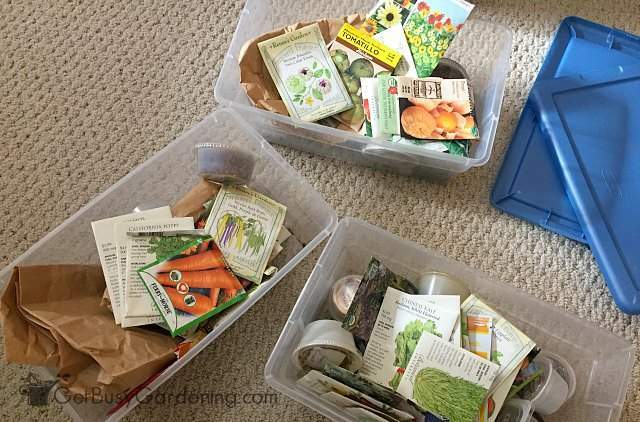 If you enjoy seed starting, you know that you hardly ever use up all of the seeds in every seed packet. It’s nice to build up a stash of seeds, and to be able to use those seeds for a few years after you buy them. Not only is saving seeds less wasteful, it’s a money saver too! I always have a nice stash of seeds so that I don’t have to buy seeds every year. Seed viability basically means the seed is alive and able to germinate and grow into a plant. If a seed is not viable, that means the seed is dead and it will never grow. Why Are Some Seeds Viable And Others Are Not? Well, sometimes seeds aren’t mature enough to become viable because they were harvested too early, or maybe they were harvested from sterile plants, or maybe the plant was never pollinated. Other times it’s because seeds lose their viability over time, and many types old seeds won’t germinate. Seed viability and germination go hand in hand. The more viable a seed is, the higher it’s germination rate will be. This is important to understand because we only want to use good seeds with high germination rates for seed starting, otherwise we’ll waste our time (and money) planting seeds that will never grow. And this is why it’s important to always test viability of garden seeds before you plant them so you don’t waste time planting bad seeds. 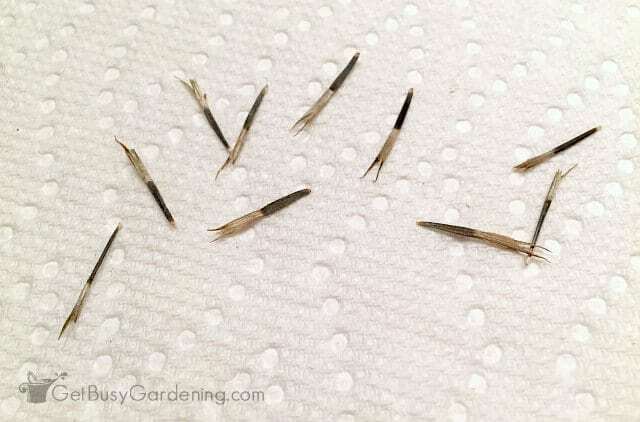 One of the most common questions I get from new gardeners is how long do seeds last?. Unfortunately, there’s not a set amount of time that seeds will last. It depends on the type seed, and can also depend on how they are stored. Many seeds can be stored for several years, even decades, while others will only be viable for one or two years. But one thing is for sure, seeds don’t last forever. The good news is that you can use this simple viability test for any type of garden seed you want. What Is A Seed Viability Test? 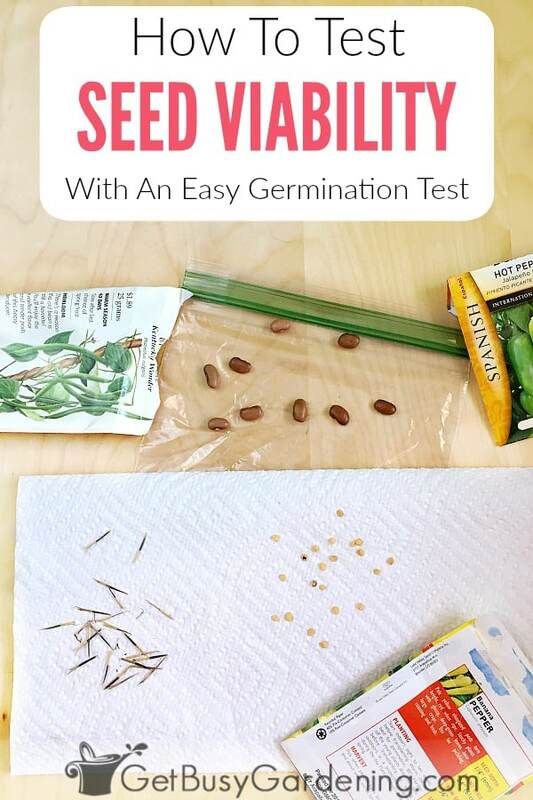 A seed viability test (aka seed germination test) is basically just a way to figure out if your old seeds will grow by testing seeds for germination. Performing a seed viability test is really the only way you’ll reliable be able to tell if seeds are viable. 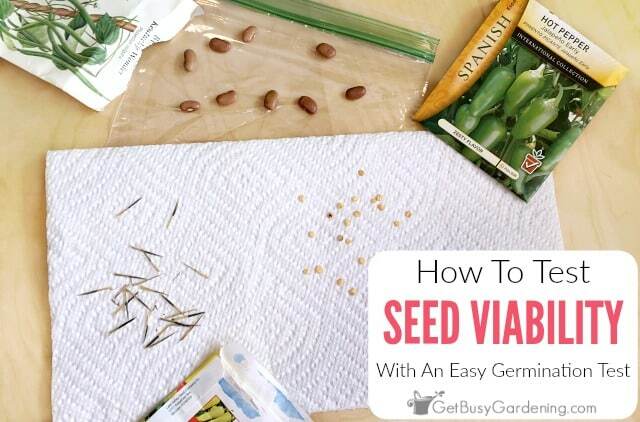 It’s very easy to do, and something you should definitely get into the habit of doing every year if you have old seeds, or have collected seeds from your garden. A standard germination test on older seeds can be done using the paper towel germination and baggie test. This is one of the most common methods of testing viability of seeds. 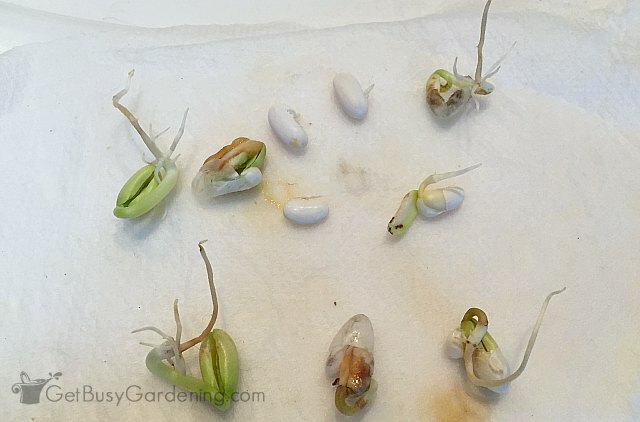 Sprouting seeds in wet paper towels is super easy, and doesn’t take very long. 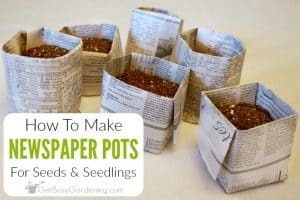 Plus, you don’t have to worry that your sample seeds will go to waste, because you can plant the seeds that have germinated in the paper towel. Don’t worry, you don’t need any fancy germination test equipment for this, you can use items you already have around the house. You can use as many seeds as you want for the seed testing, but I recommend using ten sample seeds for easy math. However, if you don’t have that many seeds to spare, then you can use fewer seeds. Step 1: Prepare the paper towel – One or two wet paper towels will be sufficient for the test. Wet down the paper towel, wring it out a little and lay it on a flat surface (you want it damp but not dripping with water, so don’t ring out all the water). 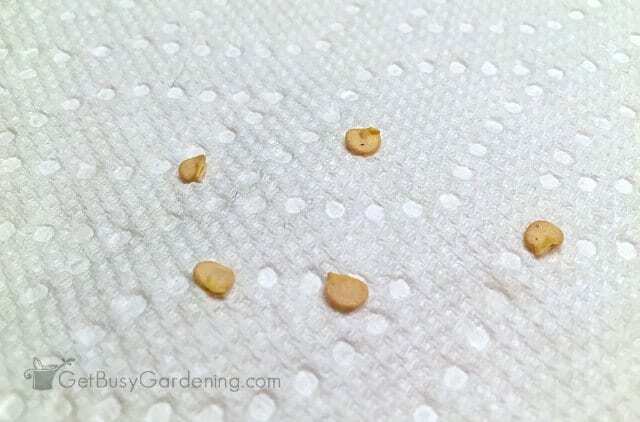 Step 2: Place sample seeds on the wet paper towel – Nothing fancy here, you can simply lay the seeds on top of the wet paper towel, just make sure they aren’t touching each other. Step 3: Fold the paper towel – Carefully fold the seeds into the paper towel, and gently press down to ensure the towel comes in contact with the seeds (so there aren’t any air bubbles in there). Step 4: Label the plastic bag – Use a paint pen or permanent marker to write the name of the seeds you’re testing on the baggie (and the date if you’re starting your seed viability tests on different days). Step 5: Put the paper towel into the bag – Place the folded moist paper towel with the seeds in it into the baggie, and zip up the bag. Step 6: Add heat – Put your seed viability test bags in a warm location (out of direct sunlight). The top of the refrigerator, next to a heat vent, or on top of a seed starting heat mat would be good places. Now that you’ve got your seed viability test set up, forget about it for a few days. Then check the seeds every couple of days to see if any have germinated. 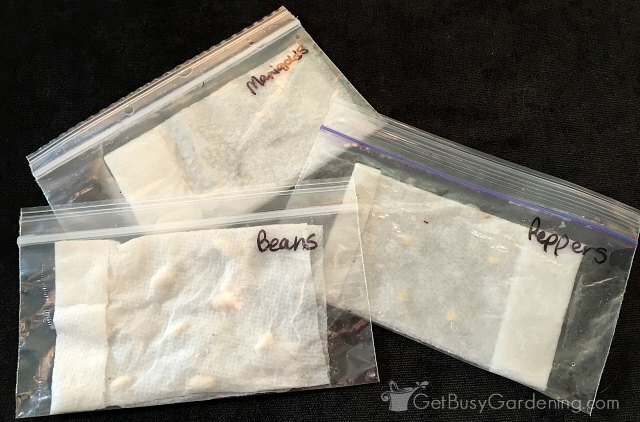 You can usually tell if any seeds have germinated by looking through the baggie, but sometimes you have to remove the paper towel and carefully unfold it to check the seeds. Keep in mind that some seeds take longer to germinate than others, so be patient. In my seed viability test, it only took a couple of days for the green bean seeds to start germinating. But green beans are fast growing seeds. My marigold seeds and pepper seeds on the other hand were much slower to germinate, and I didn’t see signs of life until the sixth day of my seed viability test. Most seeds will start to germinate within a week to ten days, but let them sit in the baggie for at least two weeks before you give up. Each time you check your seeds, make sure the paper towel isn’t drying out. You never want the paper towel to dry out or it will impact the results of the germination test. If your paper towel looks like it’s drying out, then you can just add a little bit of water into the baggie to wet it again. 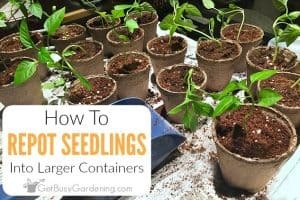 If you’re planning to plant your sample seeds, then I recommend removing each one that has germinated and planting it in soil right away, otherwise the sprouted seeds could start to mold or rot if they’re left inside the baggie for too long. Use this seed viability chart to check how good your seeds are. This chart is if you used ten seeds for your seed viability test. Otherwise, you can adjust the math if you used a different amount of seeds. You get the picture. So, after you test viability of garden seeds, you can plan to start more seeds to compensate for the low viability of old seeds. Plan to start more of the seeds with a lower germination rate (or toss them out and buy new seeds). For example, if your seed germination percentage test rate is only 50%, then you should plant twice as many seeds than you need to ensure you’re planting a decent number of viable seeds. If your seed germination percentage rates are in the 80-100% range, then you know the seed quality is good, so you can plant less of those seeds. Otherwise, if you don’t want to mess with it, then I would consider any seed germination test that results in less than a 50% viability rate bad seed that can just be tossed out. As for the test results of germinating old seeds from my stash… the green bean seeds were 100% viable, the marigold seeds were 60% viable, and my pepper seeds were 80% viable. Pretty good results for a bunch of old seeds – and that means I won’t have to buy seeds this year! After you’re done with your seed viability test, you can plant the seeds that germinated if you want to. Just be careful not to break off any of the delicate roots. Like I said above, be sure to give it a couple of weeks to allow slower seeds to germinate before giving up on your seed viability testing efforts. 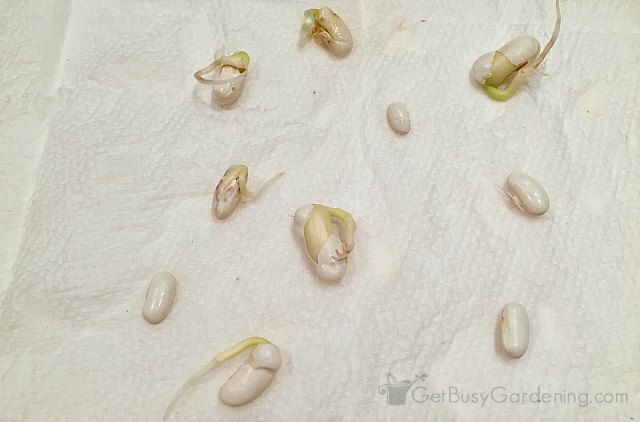 But, if the seeds are not germinating in the paper towel after 4-6 weeks, or the seeds are rotting, then you can either throw away those old seeds, or you can try testing another batch. If you’re trying to grow a type of seed that’s rare or hard to find, then I would try germinating another batch. 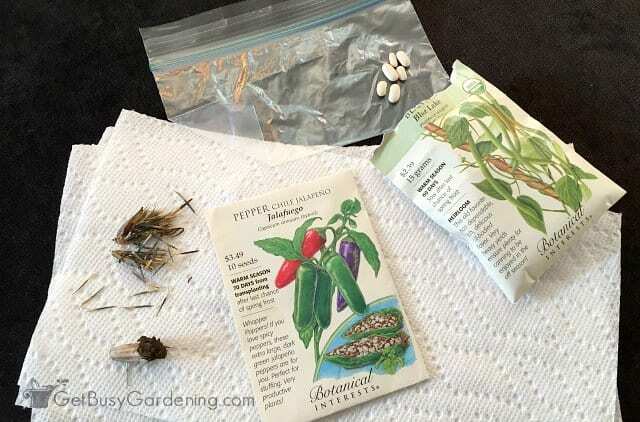 You could also use the paper towel method on all of the seeds you have left, and then plant any of them that germinate. 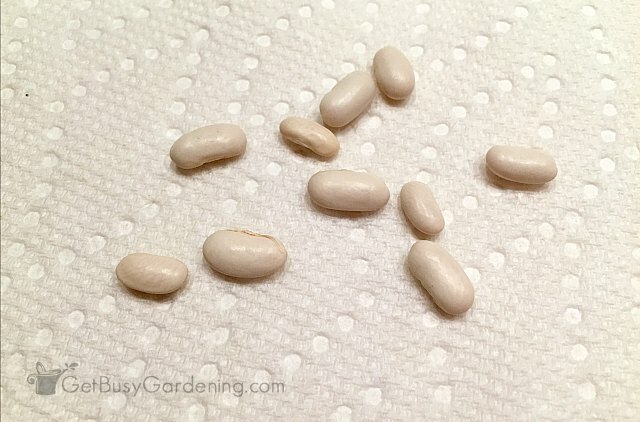 If you like to save seeds from your garden, or have a stash of old seeds sitting around, take the time to do this simple germination test on them. Remember, seeds don’t last forever, so it’s best to test viability of garden seeds to make sure you’re not wasting your time and money planting bad seeds. 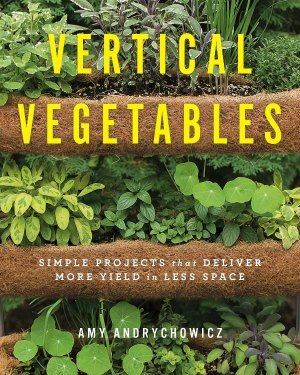 Are you looking to kick-start your growing season indoors? My Starting Seeds Indoors eBook would be perfect for you. 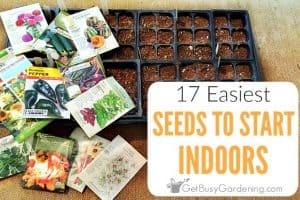 It is a quick-start guide that will get you started growing seeds indoors. Download your copy today! Need more help? 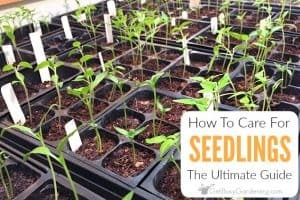 If you’re tired of trying to figure out how to grow seeds by trial and error, then my Online Seed Starting Course is for you! This comprehensive online course will teach you everything you need to know about growing anything you want from seed. Stop wasting time and money, and finally learn how to grow your seeds. Register for the course today! Do you use a different seed germination test method to test viability of garden seeds? Leave a comment below and share your experience. Interesting.. I have so many to seeds to test Amy. Thanks! Thank you for this timely post. I have some older seeds and were just wondering if they were worth planting. Now I know how to check to see if they are!! I needed this. I just found some seeds with an exp. date of 2014 and will be trying this. Thanks! This is really cool. I have some seeds that I need to do this with. I was just planning on tossing them, but testing them is a much better idea. Thanks for the cool article. You’re welcome. It never hurts to try! Have fun. how long do newly collected marigold seeds have to incubate before they can be planted? I don’t think they need any time, you should be able to plant them right away.